New interviews and where to see ’em! I wanted to update my blog with a couple of new interviews I just completed. The first is for www.cinemATL.com. I will be featured in the “Insider’s Scoop” section of their site soon. They asked me to write an article on storyboarding and the role storyboards play in film development. The link is – http://www.cinematl.com/index.php?option=com_content&task=view&id=297&Itemid=26. 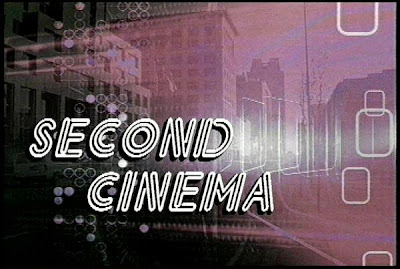 Also, I recently completed a television interview for a show here in North Carolina called “Second Cinema”. The show covers NC filmmaking and is hosted by Hilary Russo and produced by Josh Johnson and Matthew Hayhurst. It’s a fantastic show and 2006 Telly Award Winner. My interview will air in the month of Feb. with first air on Feb. 2nd. We covered lots of cool information my studio and on producing storyboarding, concept art, animation, video games, advertising, etc. for a livin’. Please check your local cable listings for times and channels in your area. Check it out if you can! Things are busy as usual and I have a number of exciting new projects being discussed and scheduled out. I’ll let ‘ya know what they are as I can release information. Confidentiality and Non Disclosure Contracts ya’ know….